I love the fork easel! It’s very creative. 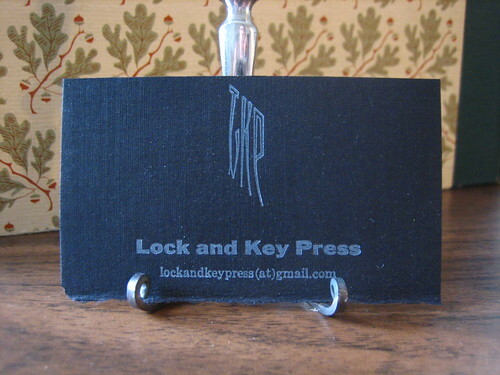 Love the business card too. Very classy. Hey! Love your blog and your work! Are you going to be at the Atropy show on the 24th? I want to go where we found those fossils and things again. I miss you Jenny. Hugs and kisses. I like your business card too. No I won’t be able to do that show I have a wedding in Chicago! Hope it goes well. I love you too Elliot! We’ll go fossil hunting again soon. I’m thinking of printing some dino cards. Which dinos should I use? These are so lovely! Your blog is beautiful! Perfect business card. just perfect.